Our monogrammed sandstone car coasters are a great way to customize your car with your own style. These high quality, personalized sandstone car coasters make the perfect gift for new drivers, new car owners, friends and family members, for any occasion. 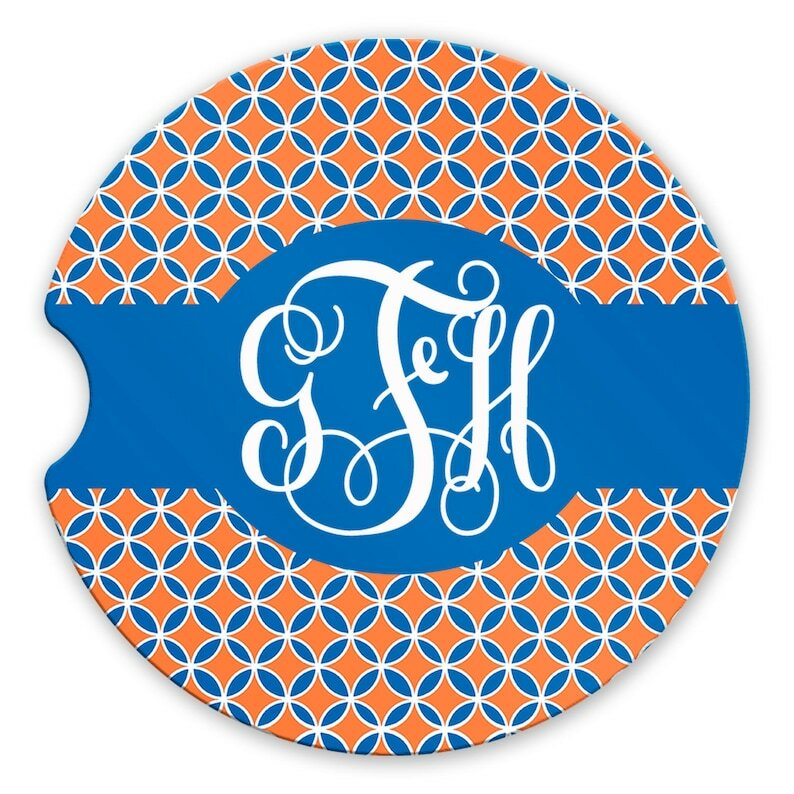 HOW TO ORDER: enter the letters that you want for the monogram in the EXACT order that you want them on the coasters. We can also put a name or initial(s) on the coasters. Please do not hesitate to contact me if you have any questions.